Another wintery month plods on by and I've managed to remain pretty productive by my standards. I'm currently sat at 350 points with 4 weeks to go, so it would seem i am well on on the way to reaching the 500 point target I set myself. My big problem at the moment, well 2 problems are; I've purchased far more than I'm going to get painted in this competition, I got excited by too many miniatures and tried to plug too many gaps mainly in my pulp collection and Napoleonics. Its likely I will have several units of French light infantry and dismounted dragoons, plus an odd assortment of pulp and the saga miniatures that never made it out of the box. 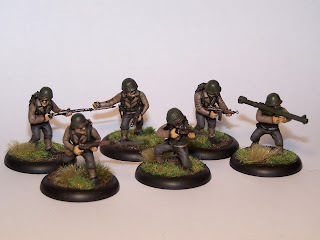 My bother distraction is terrain, I have loads of ideas for new pulp terrain and have picked up plenty of supplies over winter I am just really keen to get building, in the last few years I've certainly preferred building terrain to painting miniature, clearly I missed my calling in life. 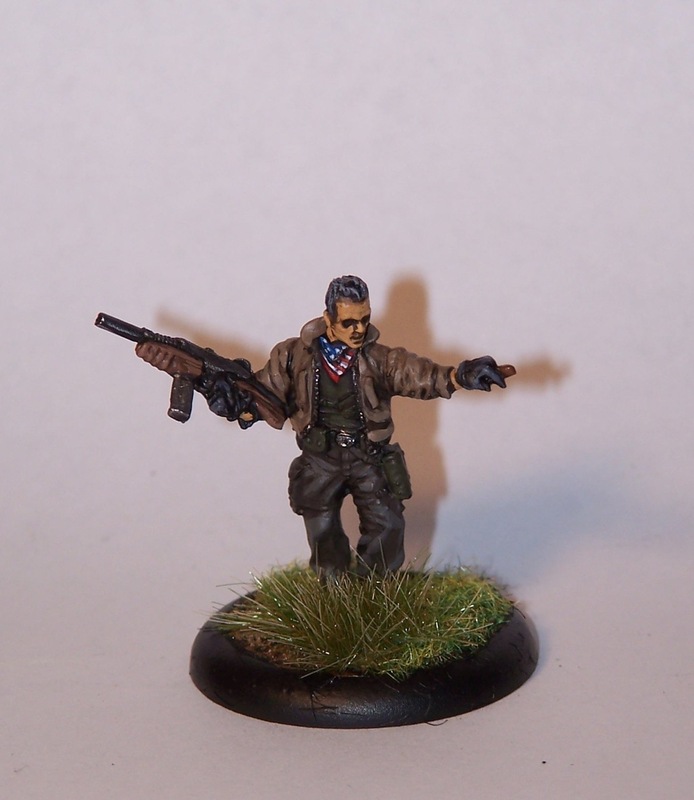 Anyhow, enough of the waffle I hear you cry, I'll get on with showing you all, what I've painted. First up are some additions to my wild west Mexican gang, 5 figures are from the new blackwater gulch range and the others from black scorpion. Swiftly followed by some perry napoleonics, a mounted infantry colonel and another artillery piece. 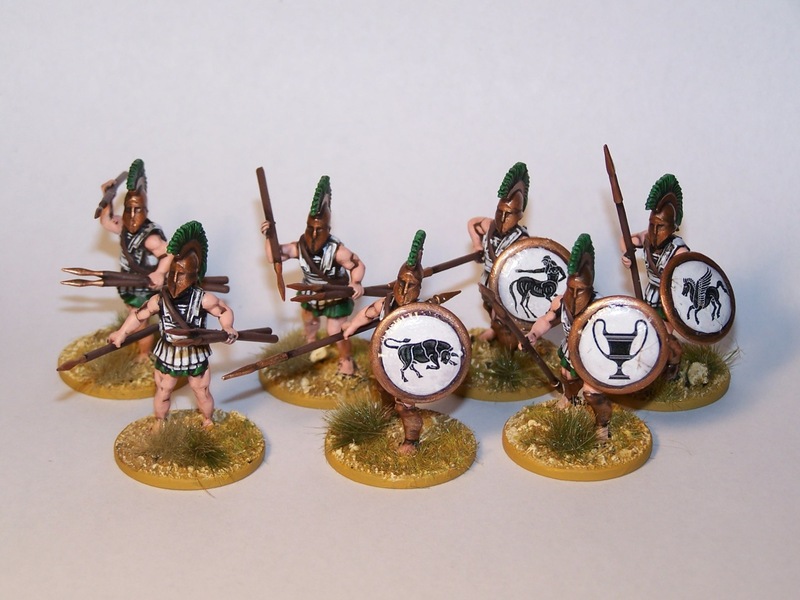 Some more Athenians for my Aegeus game, wargames factory plastics some with javelins and others spear and shields. Transfers are from little big men studios. 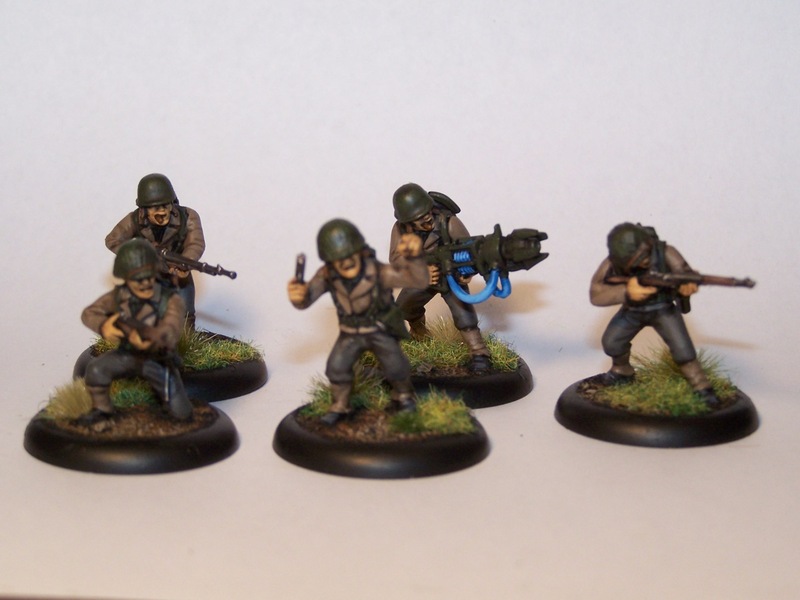 Finally some weird world war 2 miniatures in the form of some warlord games plastic American infantry and an AE-WW2 captain to lead them. Finally some terrain bits, 2 experimental cloning tanks from west wind productions with their grizzly contents. I make that 34 miniatures in month 2 slightly up on month 1, it would be nice to hit 40 miniatures in month 3 but sustaining 10 miniatures a week may be hard going as I don't have many free weekends coming up. Too many figures can't be a problem - just save them for next year! 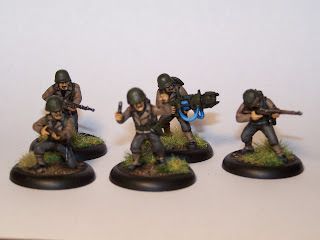 Great job on some fabulous miniatures; I'm glad to hear that I'm not the only one buying more than i'm painting this year! A nice selection of figures all very well painted. And like Phyllion said, you can never have enough figures!! !